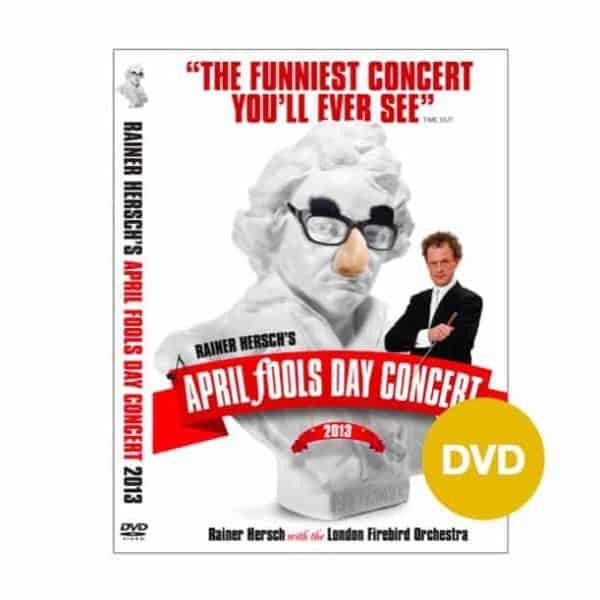 At a sold-out Royal Festival Hall, London, Rainer Hersch brings together stars of music and comedy to produce an evening of inspired humour and musical mayhem. Whether you are a music professor or couldn’t tell a bar of music from a bar stool, this is the concert you have been waiting for. At a sold-out Royal Festival Hall, London, Rainer Hersch “the world’s first classical music hooligan” (The Sun) brings together stars of music and comedy to produce an evening of inspired humour and musical mayhem. Rainer’s guests include the iconic Ukulele Orchestra of Great Britain, virtuoso comedian and impressionist Alistair McGowan, pianistic superstar Marc-André Hamelin and brilliant soprano-cabarettist Lindsay Sutherland Boal. A guaranteed laugh every four bars. This DVD is multi-region (Region 0) – there are no ‘area copyright’ coding issues. It is also in PAL format (suitable for Europe and most of the world). However if you live in North America you may experience difficulties watching it on your ‘NTSC’ DVD player. Please check your DVD manual to see if it plays ‘PAL’ DVDs. If not, just stick it in your computer instead, sit back and enjoy. 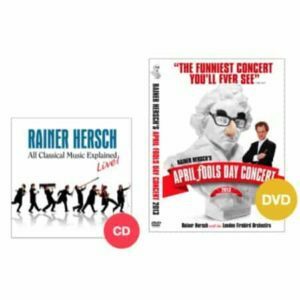 Hersch continues to tour the world presenting his one-man shows or as guest conductor in comedy concerts with orchestra. Saw the YouTube videos and had to see the full thing. Surprisingly inexpensive shipping to the US and pretty quick too. Only downside was I got no tracking so just had to wait and hope it was on its way.